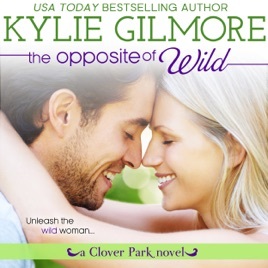 A humorous second-chance romance from USA Today best-selling author Kylie Gilmore. Ex-cop Ryan O'Hare takes one look at buttoned-up control freak Liz Garner and just itches to loosen the woman up. Not that he's into her. Because a woman like that comes with way too many expectations. Not to mention she practically works for him, and he didn't hire Liz to watch after his beloved Harley-stealing Gran so he could turn Liz loose in his bed. Still, there's something about her, a hidden wild side, that makes him wonder what it would take. Liz must be crazy to work for the insensitive, arrogant, horribly...hot man she's avoided for years. Unfortunately she needs the money, and Ryan's grandmother needs a keeper. (Midnight tango lessons and zip lines with Gran, anyone?) Ryan's rare smile and swaggering confidence have Liz torn between throwing her favorite pinot grigio at his head and throwing herself at him. Can this control freak find a way to let loose with the tough, no-strings guy who once broke her heart? Author's note: Each book in the Clover Park Series can be listened to as a stand-alone novel, or for more fun listen to them in order. Characters you've loved from past books frequently pop up in other books.